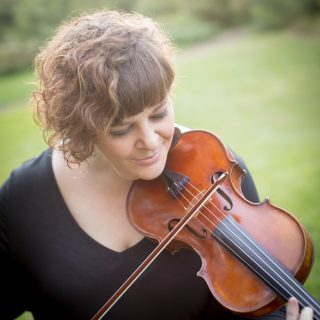 Erin Aldridge has won numerous awards as both soloist and chamber musician and has been featured throughout Europe, South America, and the United States. She is a highly sought-after performer and pedagogue, and has been published in Strings Magazine. Dr. Aldridge maintains an active performance schedule as a soloist and chamber musician. She has been a soloist with the Duluth Superior Symphony Orchestra, the Lake Superior Chamber Orchestra, the Long Prairie Chamber Orchestra, the Mesabi Symphony Orchestra, and the Itasca Symphony Orchestra. She has been a guest artist at the Indiana University Summer Music Festival, Arizona State University, DePaul University Contemporary Concert Series, Madeline Island Music Camp, Ashland Chamber Music Series, National String Workshop, “Live at the Chazen” Concert Series, and has been broadcast on National Public Radio, the BBC, Minnesota Public Radio, and Wisconsin Public Radio. In the Twin Ports area, Dr. Aldridge has received recognition as a prominent artist. In the spring of 2005, she was named concertmaster of the Duluth Superior Symphony Orchestra. She was selected for the “20 under 40” award by the Duluth News Tribune in the fall of 2007, an honor given to 20 professionals who are successful in their chosen fields and role models in the community. In 2012 she received the Community Enrichment Award from the Duluth Depot Foundation Annual Artist Awards and was honored by the American Association of University Women as one of four “Created Here” artists in the Duluth-Superior area. Dr. Aldridge attended Indiana University where she received her Bachelor’s degree in Violin Performance. She received her Master’s degree and Performer’s Certificate in Chamber Music Performance from the University of Wisconsin-Milwaukee and was a member of the Leonard Sorkin Institute of Chamber Music under the direction of the Fine Arts Quartet. She continued her studies at the University of Wisconsin-Madison where she received her Doctor of Musical Arts degree in Violin Performance. Her primary teachers include Mimi Zweig, Josef Gingold, Nellie Shkolnikova, Rostaslav Dubinsky, Efim Boico, and Vartan Manoogian. Erin Aldridge has several recordings, including her recording of Eugene Ysaÿe’s Six Sonatas for Solo Violin, Op. 27, and composer Justin Rubin’s Constellations for the MSR Classics label. In addition, she has done several recordings with acclaimed singer-songwriter Sara Thomsen as well as the Three Altos. In 2003, Dr. Aldridge joined the music faculty at the University of Wisconsin-Superior. She serves as Professor of Violin and Director of Orchestras. She is also the Concertmaster of the Duluth Superior Symphony Orchestra and is on the faculty of the Indiana University Summer String Academy.